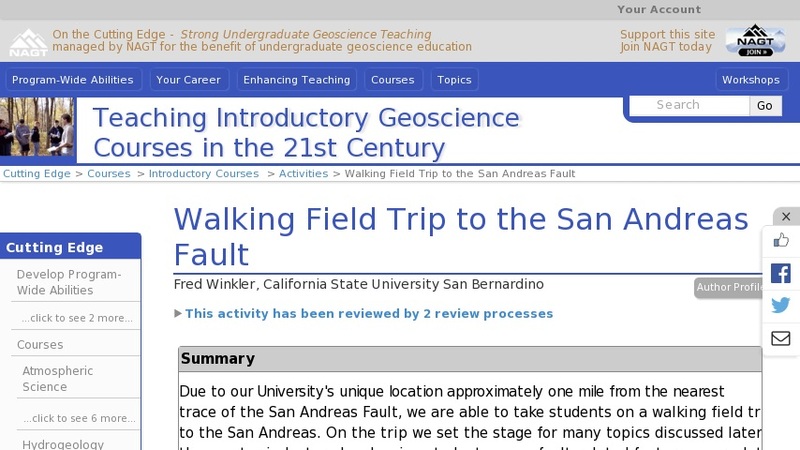 In preparation for this walking field trip to the San Andreas Fault, students ideally have attended two lecture sessions where plate boundary processes and features have been discussed formally. The expected outcomes include students that are capable of calculating rupture length based on elastic rebound theory, recurrence interval, and relative plate motion and rates. The field trip procedure and details for each stop are included in the lab manual below.